Great gag item. 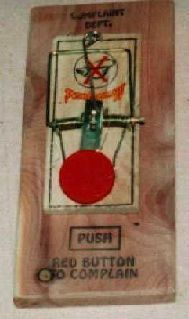 Mouse trap mounted on cedar. "Push red button to complain"